Laura can't wait to wow your guests with her amazing hula hoop skills. She has performed at various events and worked with exciting brands including 2012 Olympics, TOMS shoes, Mercedes, Bestival, Harrods, Selfridges and Kate Nash. A unique blend of amazing hula hooping with quirky fun costume and personality. 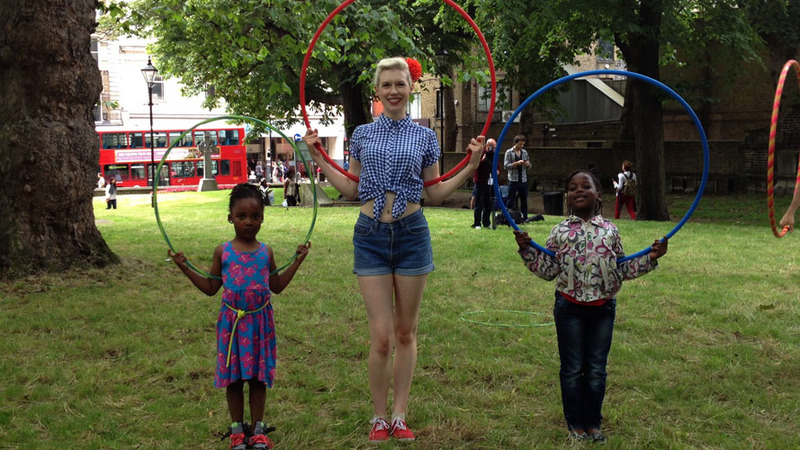 As well as performing at festivals and events Laura is also a skilled hula hoop teacher. Laura is available to mingle with guests and teach them how to hula hoop. She guarantees that even a total novice will be spinning a hoop like a pro after a 5 minute lesson with her!